I’m so excited right now I can hardly type! I’m growing lemon grass, and really all I knew it was for was insect repellent and making a nice medicinal tincture, to heal what I didn’t really remember. 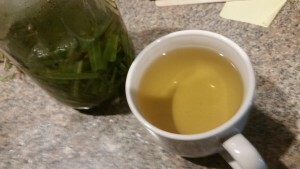 I’m in the process of growing my own medicine and since I had the lemon grass already looking bold and beautiful I decided to make some tea! OMG the best tea ever, it tasted like lemon drop candy! 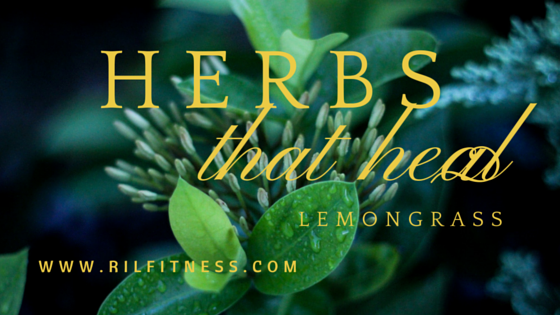 So I decided to brush up on all the wonderful benefits of this delicious herb, called Lemongrass, looks like grass, tastes like lemon drop candy! Where shall I start? First of all it’s widely used in Asian cuisine, so if you are not growing any yet, go buy some from your local Asian food market! Scientific name: Cymbopogon citratus. Lemon grass is a tall perineal grass, native to India and tropical regions of Asia. 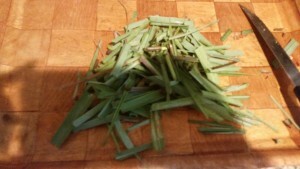 Lemongrass is antibacterial, anti-fungal and antimicrobial. I think I might make some cleaning solutions and veggie sprays and massage oils with this. I better get to propagating I only have 2 plants. High in folic acid, also rich in many invaluable essential vitamins such as pantothenic acid (vitamin B5), pyridoxine (vitamin B-6) and thiamin (vitamin B-1). These vitamins are essential in the sense that body requires them from external sources to replenish. Lemon grass herb parts, whether fresh or dried, are rich sources of minerals like potassium, zinc, calcium, iron, manganese, copper, and magnesium. Potassium is an important component of cell and body fluids, which helps control heart rate and blood pressure. To make the tea all I did is cut a few leaves close to the base as possible cut them in to pieces so they would fit in my jar, poured some boiling water on them. I poured 4-5 cups but I had some long stalks. I let them steep about 10 minutes but let them steep until they reach the desired flavor you like, I would say 8-15 minutes is a good range. But let your taste buds tell you! I just added a little stevia and what a wonderful tasting tea I had. I also put some in the fridge and had it iced the next day! Cholesterol: Lemongrass has properties that help reduce LDL (bad cholesterol) in the body helping prevent the accumulation of lipids (fat deposits) Helps unobstruct blood flow preventing cardiac disorders such as atherosclerosis. Insomnia: Lemongrass aids in calming the muscles and nerves which helps in inducing deep sleep. Research has shown that lemongrass tea has sedative and hypnotic properties which help in increasing the duration and quality of sleep. 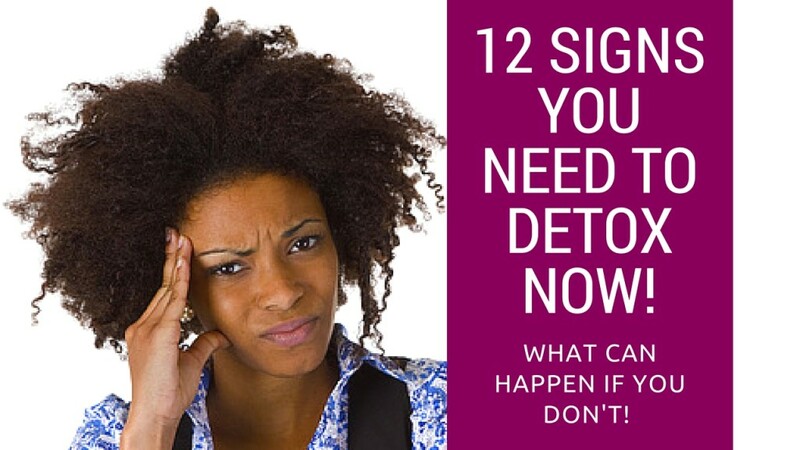 I can attest to this, I made this as a tea the other night, I was so relaxed and calm, next thing you know I was knocked up woke up several hours later! Respiratory Disorders: Lemongrass is widely used in holistic medicine for its healing effects in treating coughs and colds. Along with other beneficial components, the vitamin C content present in lemongrass helps in providing relief from nasal blockages, flu and other respiratory disorders such as bronchial asthma. Fever: Lemongrass is also known as the ‘fever grass’, owing to its beneficial effects in lowering fevers. The anti-pyretic and diaphoretic effect of lemongrass is extensively used in holistic medicine for curing fevers by inducing sweating. Yes, the only reason why I woke up a few hours later is because I was sweating!!! I think I may have make my tea a bit too strong, but I bet I burned some calories! Aches: Lemongrass helps in alleviating the pain and discomfort caused by headaches and migraines due to its analgesic properties. The phytonutrients present in lemongrass improve the blood circulation and help in relieving spasms, muscle cramps, sprains, and back aches. Lemongrass is valuable in treating sports wounds, including dislocations, internal injuries and bruises. For this most use the lemongrass in essential oil form. Which I’m gonna make my own, yeah! I will show you when I do. Immune System: Lemongrass helps in restoring the vital systems which are operational in the body, including digestion, respiration, excretion and nervous system. This assists in better absorption of nutrients and strengthens the immune defense mechanism of the body. Aromatherapy: Lemongrass consists of the beneficial ingredients of essential oils such as nerol, citronellol, myrcene, dipentene, geraniol and methyl heptenone which possess anti-fungal, insecticidal and antiseptic properties. Lemongrass oil is extensively used in aromatherapy, due to its therapeutic effects, which help in revitalizing and refreshing the body. The cooling effect of lemongrass oil is beneficial for the body during hot weather and promotes the revival of both the mind and soul. Lemongrass oil possesses natural astringent and toning qualities which help in stimulating blood circulation and tones up the dermal tissues. It also helps in tightening, uplifting and firming lethargic or sagging skin. Lemongrass is the tea they usually give you after you’ve had a massage, it’s the icing on the cake! Obesity: Lemongrass contains citral, which has been proven to be effective in combating obesity. It prevents the accumulation of abdominal fat and promotes the use of stored energy, which helps in preventing diet-induced weight gain. It aids in healthy metabolism and enhances the oxidation of fatty acids in the body. Body Odor: Lemongrass is used in the manufacturing of deodorants due to its cleansing and antibacterial properties which help to combat unpleasant body odor and prevent fungal and bacterial infections. It can also be added to foot baths to for sanitizing sore and odorous feet. Insect Repellent: Lemongrass is used as a natural insect repellant and helps in preventing the occurrence of insect-borne diseases such as malaria, dengue and Lyme disease. Studies have provided supporting evidence regarding the anti-malarial and anti-protozoan properties of lemongrass, which makes lemongrass oil an effective ingredient in mosquito repellants. For this you can just take some leaves and rub them on your skin! 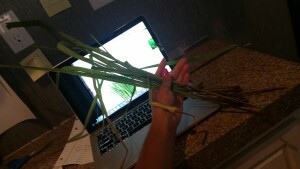 So you see why I’m so excited about lemongrass!? I’m just amazed that all I had to do was go out in my front yard to get the healthiest best testing tea I ever had, free of charge! God is amazing! 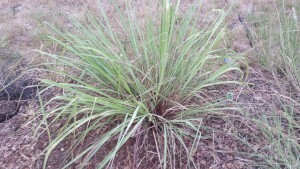 Go grow some grass, lemongrass that is and make some tea, and whatever else you can come up with. I will be experimenting with it and will keep you posted on my progress!